and it was delicious I mean absolutely delicious. We had sandwiches. And how good can a sandwich be. And then of course we went back and got dessert. We did manage to spill water all over the floor but oh well it happens. 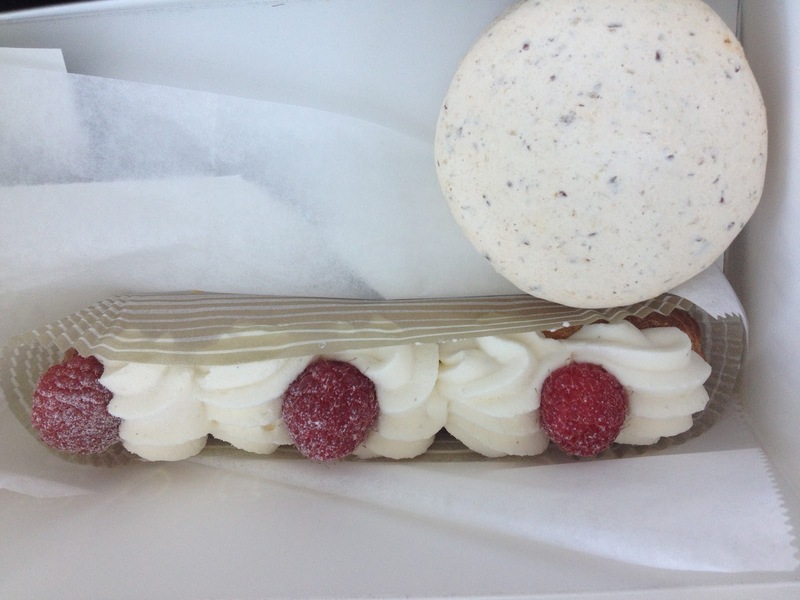 Erin got an oatmeal raisin ice cream sandwich and I got a raspberry eclair. And then we shared a hazelnut macaroon. I highly suggest a visit to the bakery. Plus you don't have to make a reservation which you kind of need for all of Keller's other restaurants.